Rooms from $89.00 per night. Description This Atlanta, Georgia hotel has an outdoor pool, free internet access, non-smoking guest rooms and free breakfast. 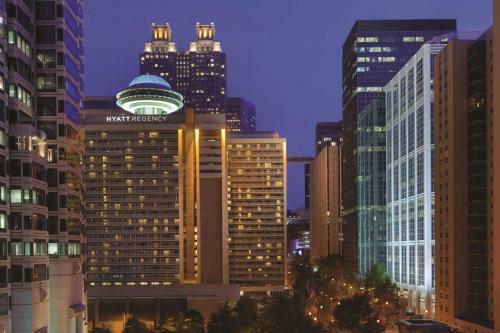 With an outdoor pool flat-panel TVs plush bedding indoor parking and easy access to mass transit find comfort and convenience at the newly renovated non-smoking Hyatt Regency Atlanta. 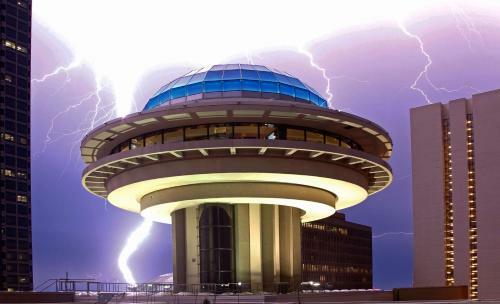 Opened in 1967 the hotel underwent a multi-million dollar renovation retaining the hotel's signature 22-story atrium lobby and iconic blue dome. The hotel's 1260 non-smoking rooms include plush Hyatt Grand Beds Wi-Fi (for an additional fee) large mobile workstations flat-panel TVs with premium channels and pay movies and audio/video checkout. The bathrooms feature granite countertops and designer toiletries. 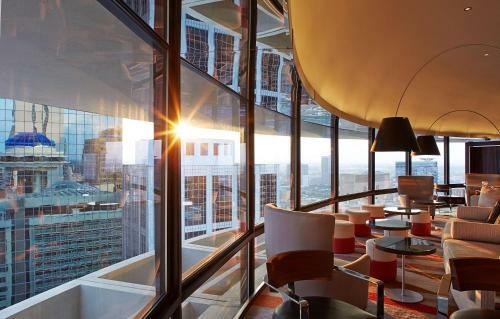 The restaurant and lounge designed by world-renowned architect Cass Calder Smith serve breakfast lunch and dinner and the lobby bar highlights flat-panel TVs cushy seating and beers on tap. The hotel also features a heated outdoor pool a business center a gift shop a 24-hour to-go market and a 24-hour fitness center. Valet parking is available for a fee. 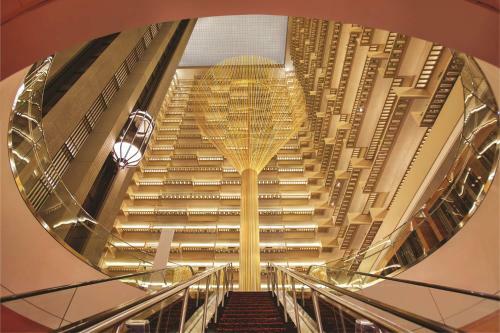 The Hyatt is in downtown Atlanta and is accessible to the Peachtree Center Mall via an indoor skywalk which translates to top shopping and quick transport to/from the Hartsfield-Jackson Atlanta International Airport (10 miles south) via the MARTA subway stop. Next door AmericasMart is home to the Atlanta Convention Center and Centennial Olympic Park is a short three-block stroll west. 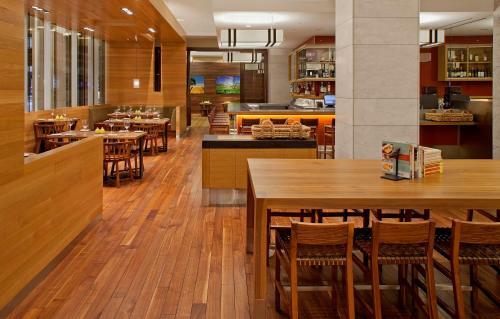 Add Hyatt Regency Atlanta to your free online travel itinerary.